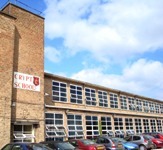 The school sits on a vulnerable site, surrounded by fields and had been having many break-ins. They had spent money repairing windows and replacing stolen goods and were fed up paying good money out for ineffective security. More On The Crypt SBD School project. CCTV is a major part of our every day lives, it deters criminal activity but it doesn’t solve crime. Security Blinds is a trusted partner of UNITE and are integral to the overall physical security decision process.” When looking to enhance the security at a small number of our sites, Security Blinds was the only supplier that met our requirement to better protect our accommodation and our customers. We have also used Secur™ to secure our on-site hospitality management offices.